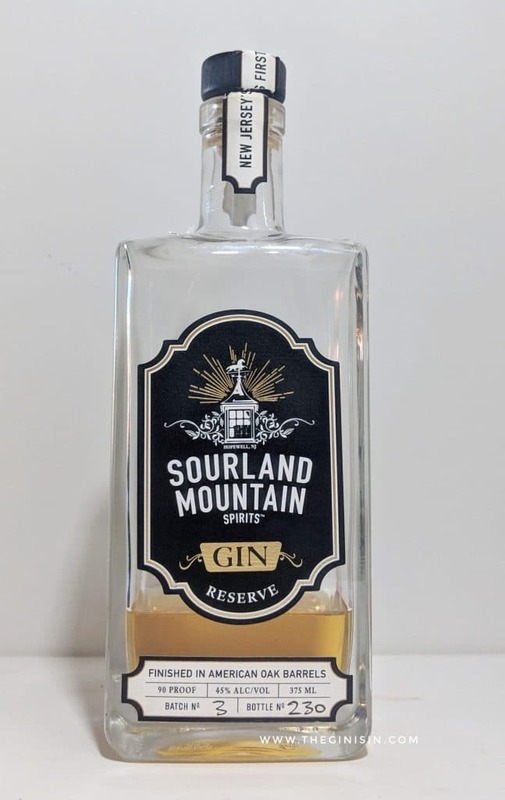 Sourland Mountain Reserve Gin takes their farm distilled, flagship Sourland Mountain Gin and rests it in light char, New American Oak barrels. It has a relatively deep, goldenrod hue and is relatively dark for a barrel-rested gin. Furthermore, Sourland Mountain Reserve Gin is created on New Jersey’s first farm distillery since prohibition. It’s a bit woody on the nose with heady oak and resinous juniper notes. It’s distinctly botanical. Although there is plenty of those wood notes, there’s no mistaking Sourland Mountain Reserve Gin for a whiskey or the like. The palate is creamy and rich with a heavy dose of vanillin from those New American Oak barrels. Cinnamon custard leads into a creamy rich finish that comes across as spice-forward. Slight oak tannin on the finish with egg, custard and faint mint notes. Sourland Mountain Reserve Gin is creamy and unctuous— the barrel has radically transformed Sourland Mountain Gin into something altogether different. Juniper is present but relatively muted compared to the original. The fresh herbs are also quieted and replaced with luscious, viscous vanilla. The creamy and vanilla notes lend Sourland Mountain Reserve Gin nicely to dessert aged-gin applications such as the Alexandria or pairing it with Sherry in an Aged Gin variation on the Tuxedo Cocktail. It’s also good simply on the rocks or an Old Fashioned. This gin is a study in the trans-formative effect that barrel aging can have on a spirit. Time in a new char Oak barrel radically alters the botanical presence. And the result is quite luscious. Certainly because of the new char, there’s a bit more tannin present than other barrel-rested gins, but the overall profile is generally, sweetly cinnamon custard— and is quite accessible for those looking to get into barrel-rested gins.